This Year at CES, La FrenchTech was All-In ! This year at CES, La FrenchTech was all in ! France is undergoing a startup renaissance driven by a new generation of entrepreneurs, investors, engineers, designers and other talented people. Last year, France’s charm offensive over CES visitors worked so well that Las Vegas shown a real empathy to the French community, while Paris was suffering its first terrorist attack of the year. In 2015, Yahoo Tech’s author wrote a now-famous piece called France is absolutely crushing it at CES. Well, it looks like La FrenchTech wanted it all again this year at CES 2016. Driven by Business France’s team of digital experts, the French tech community settled last week in Las Vegas to show the very best of what it has to offer to the world. 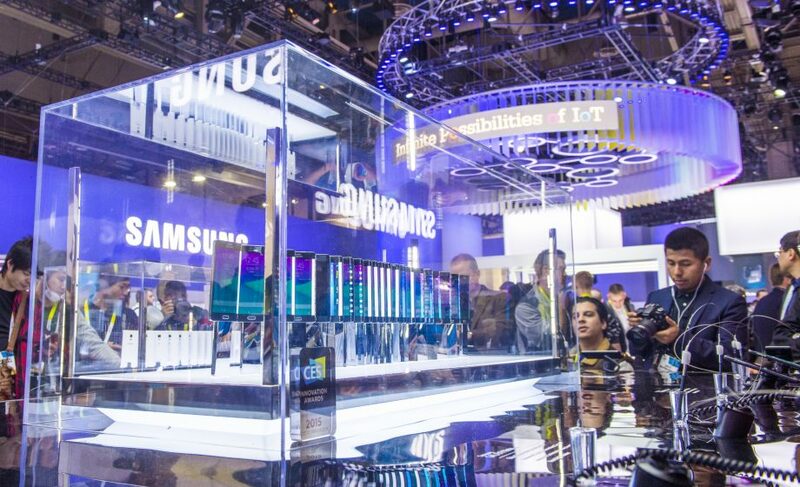 With 200+ companies from France at the CES 2016 —an increase of 65 percent from last year— innovation poured on every sector of business: connected objects, e-health, cybersecurity, mobility and more. Awarded ‘Best Startup of CES’, 10-Vins, for example, has developed a technology that brings a glass of Bordeaux to the perfect temperature in less than a minute. The vast majority of the projects shown at the event gathered in the Eureka Park area, which hosted more than 120 French startups, a leap of 71 percent. At the Park, tens of startups have decorated their booth with the blue-white-red flag and the origami-style logo of La FrenchTech. In fact, 30 percent of Eureka Park’s startups this year were French, making France the second biggest foreign delegation, ahead of Israel, Japan, the U.K. and Germany. For the last couple of years, at least, the French government has shown willingness and has been successful in supporting its tech ecosystem and trying to make it shine abroad. Every year, Business France takes the current French talents to the US as well as in Barcelona’s Mobile World Congress, Helsinki’s Slush or at the Dublin Web Summit. Launched in 2013, the €200 million initiative to support French startups and unite them under a single and powerful brand –both in France and abroad– has made Paris the home to vibrant tech hubs and a hotbed of talent, steeped in a strong entrepreneurial culture. As a result, the CES Innovation Awards show that the quality matches the quantity of projects that came to CES this year: 20+ IoT companies based in France were honored by the jury of experts in different categories, among whom there were the French industry leaders such as Parrot, Netatmo or Withings. While foreign medias seem to be quite benevolent with the French ecosystem and its efforts to promote itself through such initiatives (read in Fortune), La FrenchTech is surprisingly seeing his fiercest opposition from the inside. Some journalists, entrepreneurs and commentators – e.g. from Challenges , LeMonde and PetitWeb– have been very faultfinding with the fact that public money is used to promote the young French companies abroad. While I can understand the argument, I often find the same people quoting the lack of unicorns and late-stage VC funds in France to support their theory. One of two things must be true, though. But if helping national companies is an uncontentious decision as part of a government’s economic policy, you surely cannot blame politicians for doing something and doing nothing at the same time. As far as I’m concerned, what I’ve seen this year at CES is a bunch of talented and energetic entrepreneurs defying statistics and clichés in order to succeed. Obviously, not all of them will make it. But that doesn’t make the journey less interesting at all. Entrepreneurs who failed will learn from their mistakes and either create new companies or join existing ones and bring experience to the table. That is certainly the great shame for the people of France, wanting either all or nothing. The magic happens in the middle. Once again, thanks for your analysis. I agree with what you said, I think it’s important to highlight the French “startup spirit” and our willingness to innovate. Isn’t the awards some of them receive a recognition of this? Well I would say so. Working myself in a startup, in a region that received the French Tech label, we would be proud to represent France if we get the chance to be at CES in the next coming years!